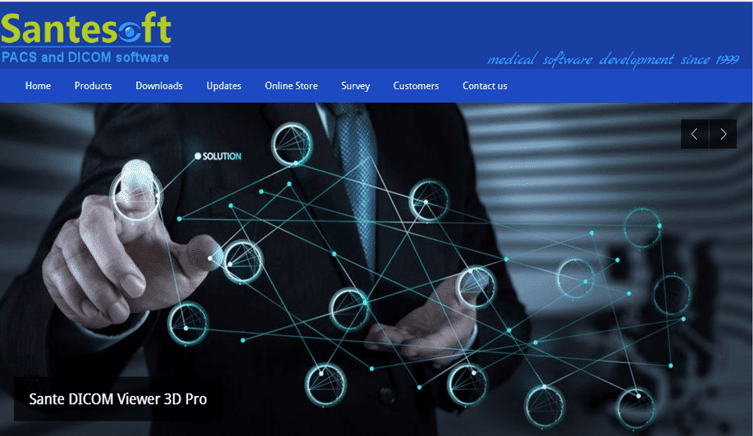 Santesoft is a company designs to create DICOM and PACS software use for x-ray digital imaging and other radiography imaging system. PACS means are called "Picture Archiving and Communication System. This software provides view or interface of doctors to read and analyse X-ray images came from a DR (Digital Radiography Flat Panel Detector) using a network of computer. Santesoft designed this system as a viewer of the DICOM image files (Digital Imaging and Communications in Medicine) This software is connected to a network called DICOM computer. This DICOM computer works to a DR- Flat Panel Detector as receiver of the signal using the WIFI communication that converts the radiation signal to images process digitally using the DICOM software installed in computer hard disk drive. So in this post I let you know how to install this software in your PACS computer networks. And this provides a better view during depth analysis of your Radiologist Doctors. Before you can install this PACS software, open the Santesoft.com and download the versions you selected. For me I recommend Sante Dicom Viewer 3D Pro. After you downloaded this version, you need to download also the required "Microsoft DirectX end-user redistributable library" to completely install this software. Once this two software was downloaded in your drive, open the Microsoft Direct X software. And create a temporary folder and decompress this file inside and execute the installation. Then after successfully installed the Microsoft Direct X, you can now install the Sante Dicom Viewer 3D Pro or other versions by double clicking the setup icon you just downloaded from the Santesoft site. After successfully installed this software you can now proceed for the network configuration of your DICOM computer. Sante Dicom viewer 3d pro is a great software as my experience in using this software. The very advantages of this software, you can save both DICOM raw files or DCM and JPEG files. And this software provides more tools like the measurements and editing images for better enhancements for depth analysis of a doctor. Hi Gino what DICOM viewer did you use?